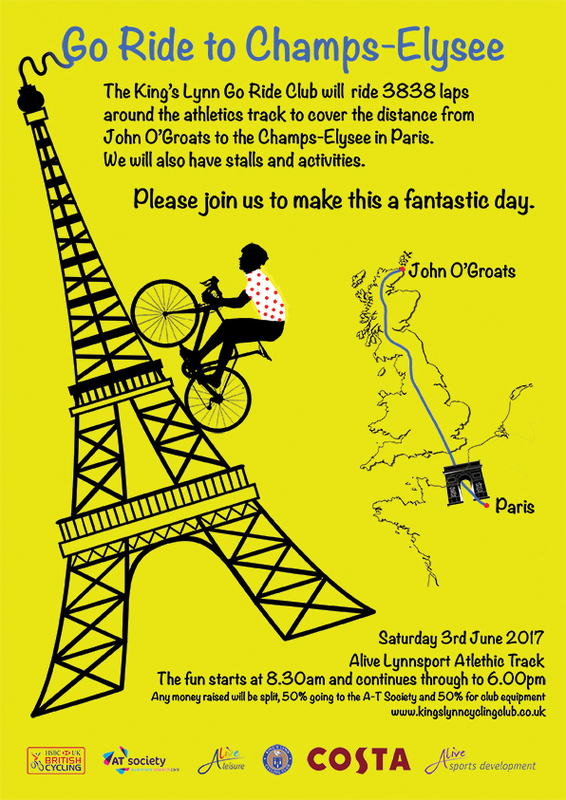 The King’s Lynn Go Ride Club will ride 3838 laps around the athletics track to cover the distance from John O’Groats to the Champs-Elysee in Paris. We will also have stalls and activities. Please join us to make this a fantastic day.